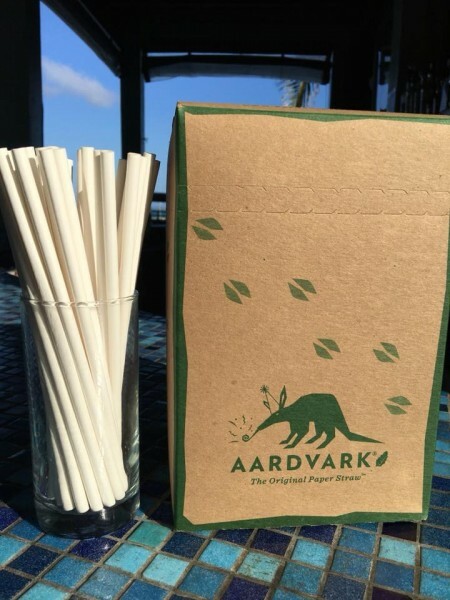 Hoping to motivate more business to use environment-friendly paper straws, Sandbar Beachfront Hostel, Restaurant and Bar is making paper straws available for any business owner that is ready to make the switch. According to Sandbar’s Britney O’Daniel, they made the switch from plastic to paper straws in July 2017. “My motive to switch to paper straws was after watching the disturbing video of a plastic straw being removed from a turtle’s nose. Also, to help in the movement of using biodegradable products, as our ocean and environment is filled with plastic,” she said. When O’Daniel realized that she had easy access to paper straws, she decided to stock her business with a large amount of them and sell them to other businesses. “I will continue to get them as long as other businesses are purchasing,” she said. According to O’Daniel, Victoria House, Banyan Bay, Secret Beach and even Tipsy Tuna in Placencia have already made the switch to paper straws. Sandbar is not the only establishment on the island that has found ways to preserve the environment through biodegradable products and promoting cleanliness in San Pedro Town. Businesses such as The Belize Chocolate Company, The Hidden Treasure, and Wild Mangos are also onboard with eco-friendly solutions within the hospitality and tourism industry. O’ Daniel hopes that more businesses join them in the movement of switching to bio-degradable products. If any business is interested in making the switch to paper straws you can call the Sandbar at 226-2008 or message them on Facebook at Sandbar.